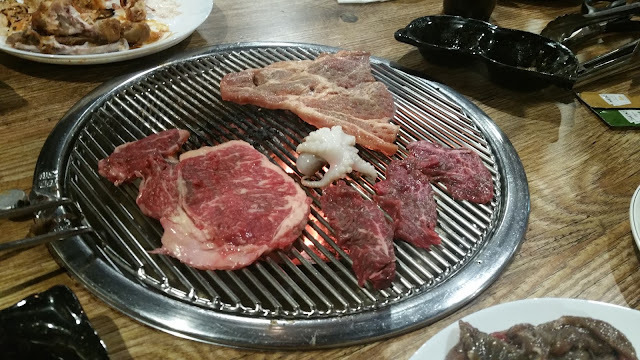 Have had some late night Korean BBQ cravings lately, which have been further exasperated by friends sending me photos of grilled meats especially late at night. 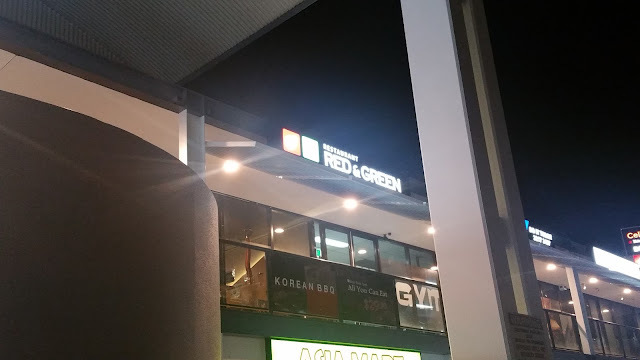 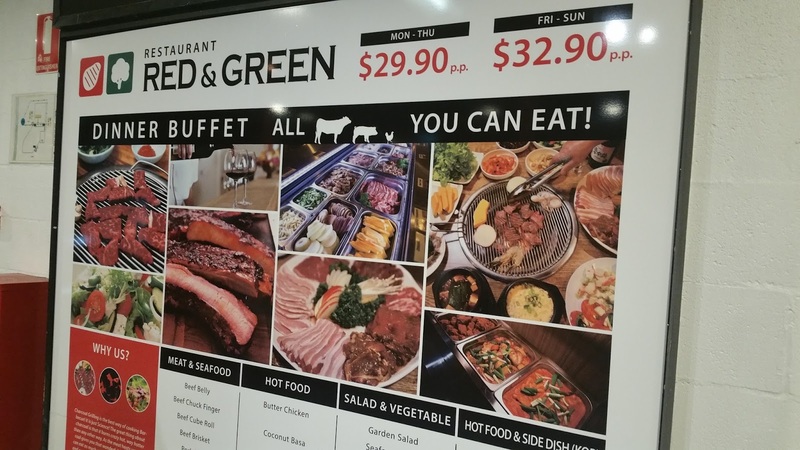 Finally decided to scratch the itch whilst satisfying my curiosity for Restaurant Red and Green at Woolloongabba, after having seen quite a few online promotions about it. 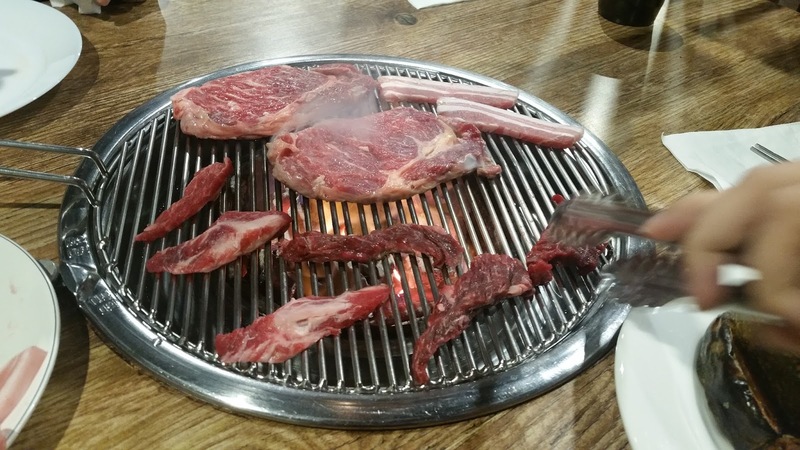 Again, when I am extremely hungry, I rushed for the table and forgot to take pictures of the surrounding environment. But for the record it was well lit, quite clean and reasonably spacious, with a general wooden theme much like other Korean restaurants I have been to. 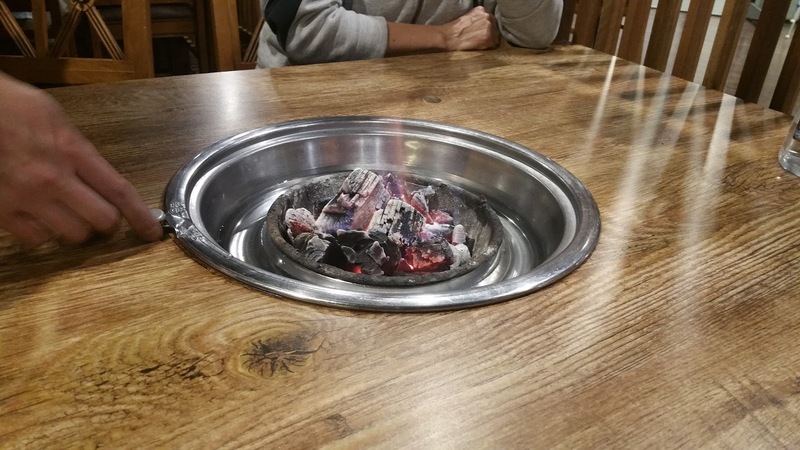 Charcoal was provided immediately after ordering, and it warmed us up considerably. 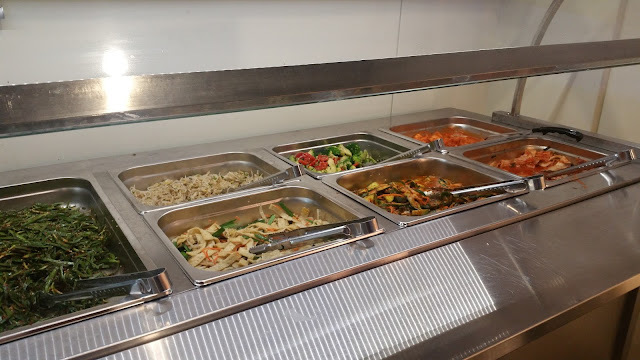 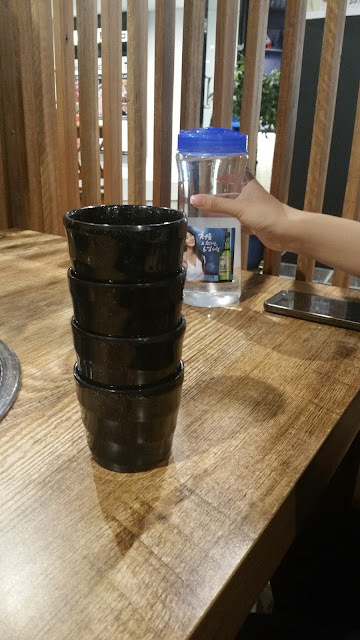 Chilled water was provided as usual, and I took the time to take a look at the offerings at the buffet. Quite a large assortment of meats for the grill, noted they had my favourite bulgogi with quite a few other options. Three salads were available, two leafy green ones a coleslaw and another one which had raisins in it. 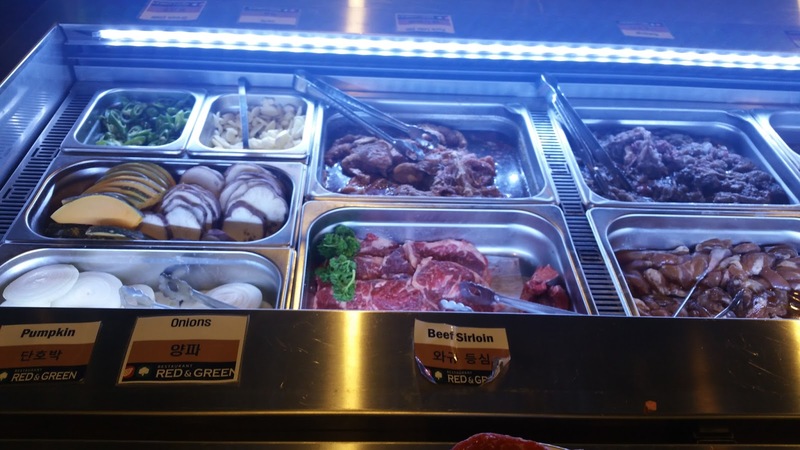 Seven types of Korean sides were also on offer, I particularly enjoy the bean curd skin and kimchi. Fruits and cakes were also available afterwards as dessert. 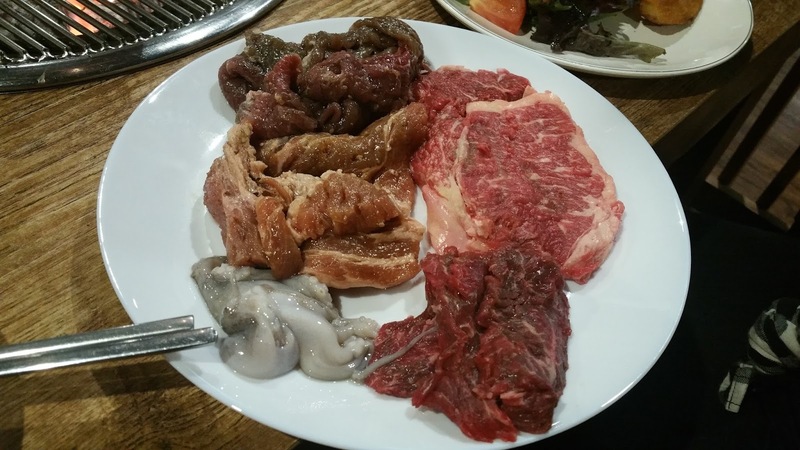 From the meats selection, I found the marinated beef to be my favourite as usual. 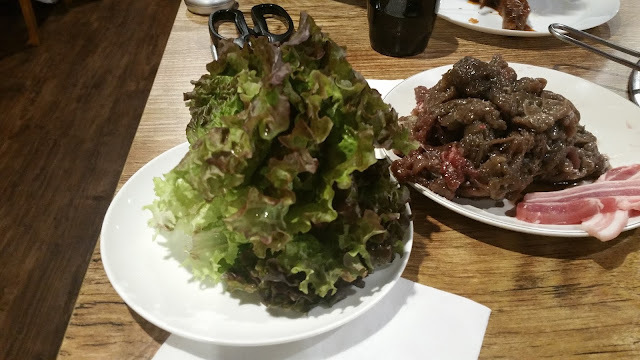 The wagyu, whilst very well marbled, wasn't overly tender, but was rather a bit chewy. 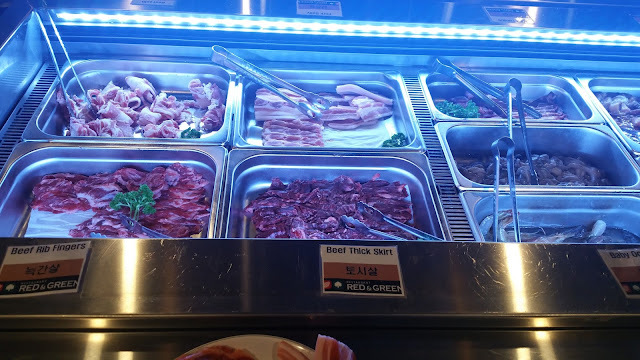 I appreciated that the pork belly wasn't overly fatty, which meant I could eat with a bit less guilt. 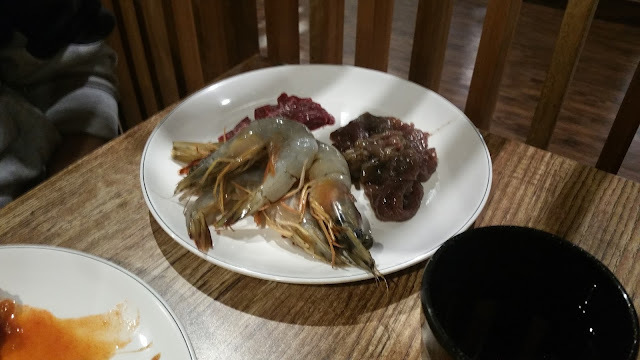 The prawns and octopus were reasonably fresh as well. The taste of the unmarinated meats relied solely on each person's ability to mix their own sauces, but the pork had a noticeably good texture. I also really appreciated the extra lettuce leaves, which allowed us the ability to enjoy our meats wrapped up in the leaves, traditional Korean style. 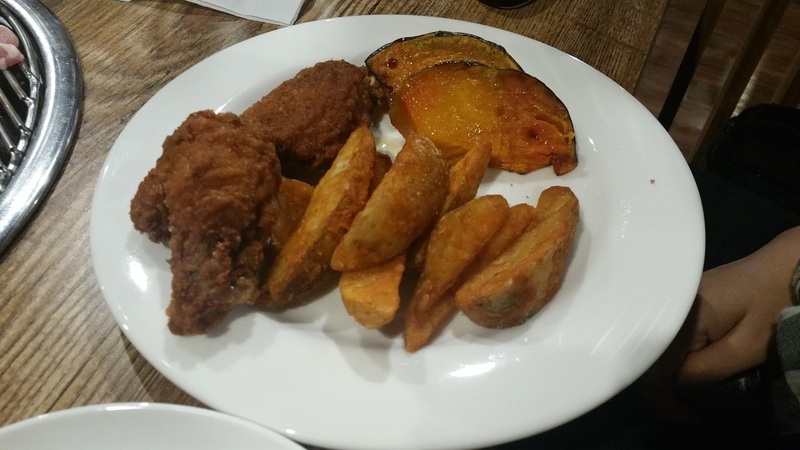 With respect to the non bbq selections, I found the fried chicken to be quite impressive, with a crispy skin but also moist juicy flesh. 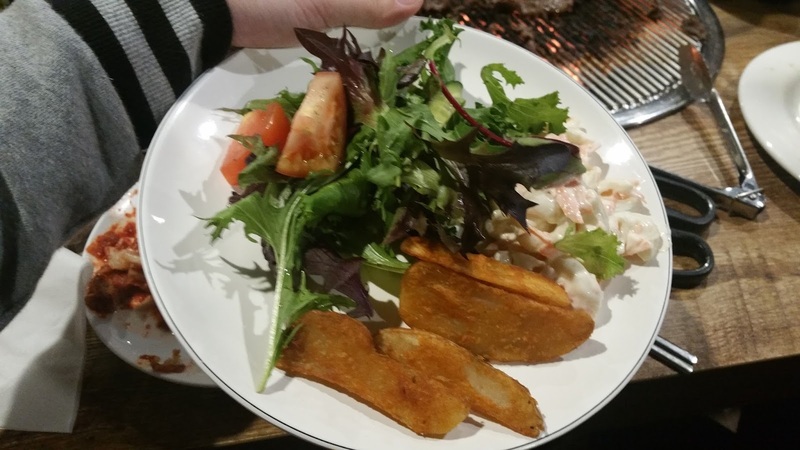 The wedges were a little bland though. 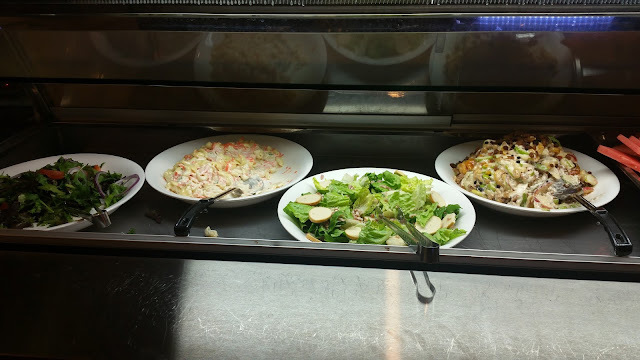 Salads were fresh and I quite enjoyed their respective dressings. 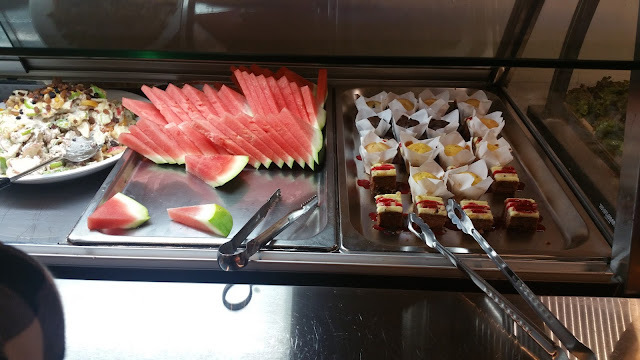 Unfortunately we were way too full to try the cakes as well, but the watermelon was quite refreshing.